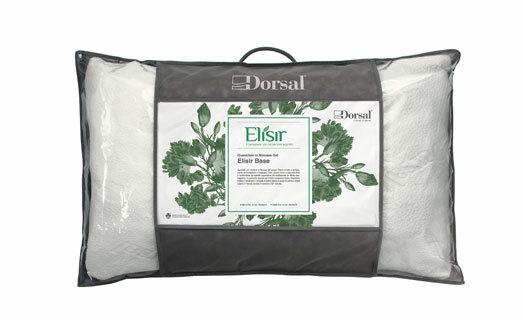 The pillows Elixir ensure maximum freshness and breathability because they are made in Mousse Gel, a highly temperature-regulating and adaptable, exclusive Dorsal. The special features of this line of pillows are to provide the correct anatomical support, the ultimate in relaxation and freshness making it an ideal product for those who have an important night sweats. 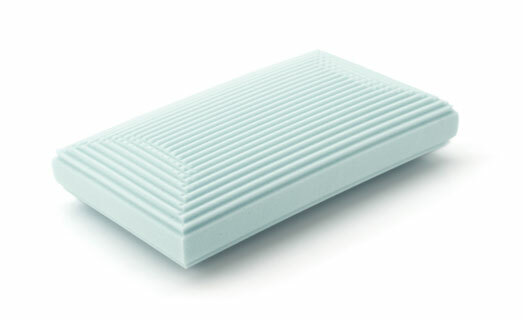 Mousse Gel pillow, with his heat regulating features and breathability, is proposed with special surface cuts that provides a massage effect and excellent comfort. 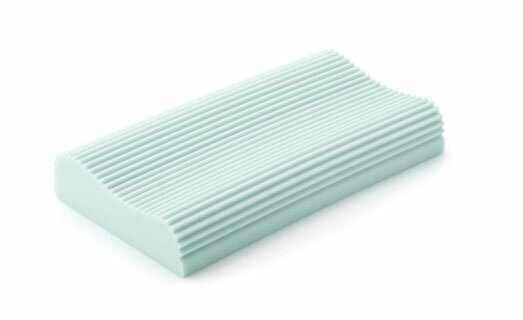 Mousse Gel pillow, with his heat regulating features and breathability, is proposed with a special contour, with two levels, that relieves pressure on the neck and shoulders giving anatomical support and aiding relaxation. Personalized carrying case for Elisir pillow.